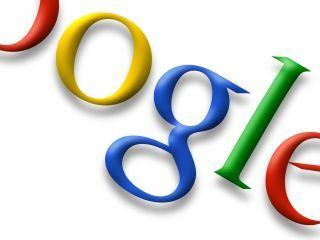 Google's blog has announced that the web has reached at least 1 trillion unique URLs – although the actual number may be much bigger. The search giants' crawlers - the small programs that comb the web in order for it to be accessible to search engines - have hit their 1,000,000,000,000th unique URL, although this doesn't take into account millions more sites that are not linked or deliberately exclude themselves from search engines. Of course – 1 trillion unique URLs does not mean 1 trillion unique web pages, with original content much harder to come by. "Many pages have multiple URLs with exactly the same content or URLs that are auto-generated copies of each other, explains the Google blog. "Even after removing those exact duplicates, we saw a trillion unique URLs, and the number of individual web pages out there is growing by several billion pages per day." The fascinating blog post, by Jesse Alpert & Nissan Hajaj also acknowledges that there are, technically, infinite unique pages, but that indexing them would be pointless. "Strictly speaking, the number of pages out there is infinite -- for example, web calendars may have a "next day" link, and we could follow that link forever, each time finding a "new" page. "We're not doing that, obviously, since there would be little benefit to you. But this example shows that the size of the web really depends on your definition of what's a useful page, and there is no exact answer."